Left: Red-tailed "Harlans" Hawk dark morph (Buteo jamaicensis harlani) and Right: a typical Red-tailed Hawk. 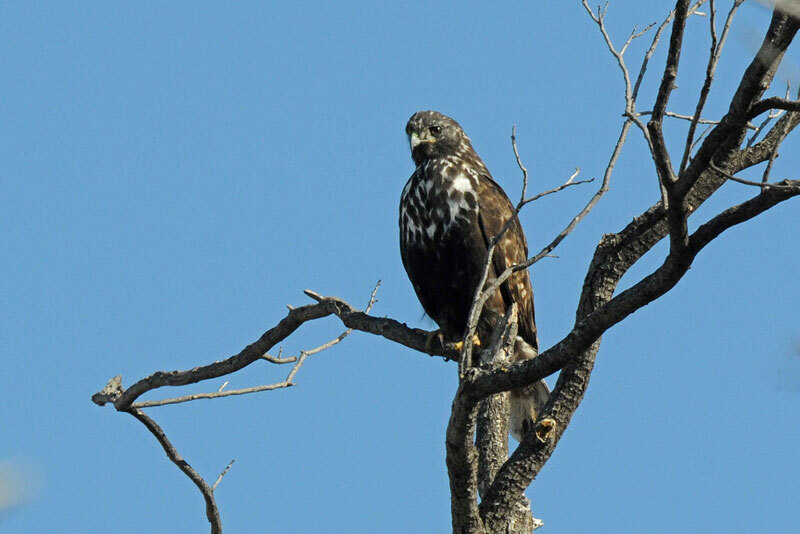 (Buteo jamaicensis) . Left: Red-tailed "Harlan's Hawks are generally much darker than most of the other subspecies counterparts in this area. The typical "Harlan's" usually have some white on the throat and on the upper breast although this varies considerably. That tail can be significantly different although some Harlan's hawks may have some pinkish tones. The two specimens on the right are light morph "Harlan's" hawks (Buteo jamaicensis harlani). The bird on the left is a typical eastern Red-tailed Hawk (juvenile) (Buteo jamaicensis). The dorsal view of the same birds above. 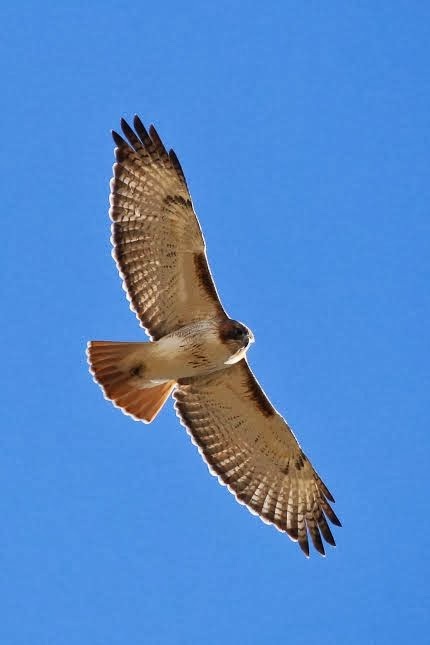 Status and Distribution: While Red-tailed Hawks are common in the study area, the Harlan's subspecies is uncommon in winter, and absent completely in summer.